Toyota is the No. 1 car seller in the world for a very simple, very compelling reason. Toyota understands family. Toyota vehicles have been consistently ranked among the best family vehicles in the world. Toyota dealers have worked hard to earn the trust of families around the world by selling vehicles that are safe, reliable, and enjoyable to drive. Toyota vehicles regularly appear among car critics’ top choices for family vehicles. One of the most recent accolades Toyota has received was the inclusion of three Toyota vehicles in Kelly Blue Book’s 15 Best Family Vehicles of 2015. Kelly Blue Book is a respected name in the automotive world and publishes the definitive guide on vehicle valuation. The Blue Book has been published regularly since 1926. To determine the 15 Best Vehicles of 2015, Kelly Blue Book reviewed many compact cars, sedans, and SUVs. When the research was finished, three Toyota vehicles ranked among the Top 15: the Toyota Sienna, the Camry, and the Highlander. Los Angelinos searching Toyota dealerships for the perfect family vehicle should keep these models in mind. The 2015 Toyota Sienna – Toyota’s minivan – got a major redesign for this year. Making its second appearance on Kelly Blue Book’s Best Family Cars list, the new Sienna has a number of safety and comfort improvements making the Sienna a great vehicle for growing families. The new Sienna is powered by a 3.5 L V6 engine, giving the Sienna plenty of get up and go. The six speed automatic transmission helps create an easy driving experience for drivers. Sienna is the only all-wheel drive mini-van, making it ideal for rustic or snowy areas of the country. Some of the new amenities available on the 2015 Sienna include a new dash, which includes Toyota’s highly user-friendly Entune entertainment system. A new rear seat wide-screen entertainment system will keep passengers entertained, as it can display two different movies at once. The EasySpeak intercom system makes it easy for the driver to communicate with passengers in the rear seat. The new Sienna is quite spacious, offering seating for seven or eight passengers. The Sienna has plenty of leg and headroom for drivers and passengers, and also offers ample cargo space behind the third row. For large families with large carrying capacity needs, the Sienna is a great choice. In terms of fuel economy, the 2015 Toyota Sienna gets about 18 mpg in the city and 21 on the highway. The Camry has been consistently among the top selling Toyota models – Toyota dealers sold more than 420,000 units in the U.S. alone last year – thanks to its practicality and style. While the Camry is a dependable family vehicle, its exterior aesthetics help keep it from being considered a fuddy-duddy. Toyota created a fresh new design for the Camry for 2015, creating a bolder, more aggressive version of the popular family sedan with more aggressive angles. The Camry hasn’t turned its back on its legendary build quality and reliability, however. The Camry remains one of the most dependable vehicles on the market and is sure to retain resale value. On the inside, the Camry is spacious and comfortable, with plenty of legroom and high quality interior fabrics and surfaces. The new Camry comes standard with the Entune system and a touch screen to help manage music and navigation. The Camry’s enhanced safety features include a rear-view camera, a new technology that is rapidly becoming standard on many vehicles. The standard 2015 Camry is powered by a 2.5 liter four-cylinder engine, and a more powerful V6 version is also available. On average, the Camry gets about 25 mpg in the city and 35 on the highway. For a vehicle that can provide reliable family transportation as well as enough style and power to still be fun, the Camry is a great choice. The 2015 Highlander is a popular Toyota mid-size crossover SUV that sold almost 150,000 units in the U.S. in 2014. The new Highlander is set to be even more popular, thanks to some new tweaks added by Toyota. The Highlander achieves excellence by totaling a lot of singles and doubles up to a winning score. The vehicle gets a lot of the little things right, including providing a smooth ride and thoughtful design cues such as a conversation mirror and in-dash shelf. The Highlander has three rows for seating and can transport seven to eight people in comfort. The seats are cushioned and comfortable and the Highlander offers a generous amount of head and leg room for drivers and passengers alike. With regard to safety, Toyota offers the standard seat belt and air bag combo, as well as a back-up camera. Auto consumers can also add options such as collision warning systems, lane departure warning, and blind spot monitoring. The 2015 Highlander’s standard model comes with a 2.7 liter four-cylinder engine. Auto consumers looking for a little more oomph can buy a V6 version. All-wheel drive is also available on some Highlander models. The fuel economy for the four-cylinder version is 20 mpg in the city and 22 on the highway. For the third year in a row, Toyota is the world’s top automaker; Toyota dealers sold 10.23 million vehicles in 2014. This was the first year Toyota’s sales crossed the 10 million vehicle threshold. Toyota vehicles consistently rank among many auto review sites’ “best of” lists, thanks to the company’s storied commitment to build quality and customer service. For California residents seeking a Toyota dealership in Los Angeles, North Hollywood Toyota is an excellent choice. Conveniently located on Lankershim Boulevard in North Hollywood, the dealership offers a wide variety of new and pre-owned Toyotas for Los Angeles residents to choose from, as well as a helpful staff and finance department. 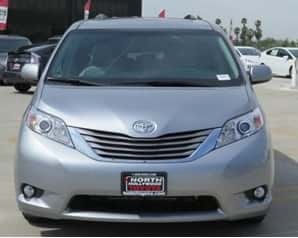 Angelinos seeking a reliable family car should visit North Hollywood Toyota today and test drive a Sienna, Camry, Highlander, or other Toyota vehicle.